Metatarsalgia is a word that we sometimes hear from friends. They’ve been diagnosed with it and they start explaining it to you. So what is metatarsalgia? First of all, it is most important to realise that metatarsalgia is NOT a diagnosis! Metatarsalgia is not any one specific condition. It is rather, a generic term that people use to label general forefoot pain or pain in the balls of the feet. In essence it is a really great way of sounding like we know exactly where the problem lies but in reality, it is a broad term used to describe many conditions. So what are the conditions that indicate metatarsalgia? The metatarsals of the foot connect the toes of the foot to the midfoot and are essential in transferring the propulsive force to the ground when we move. 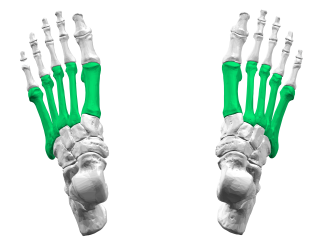 The metatarsals are the ten bones indicated here in green. When you have metatarsalgia, it generally means that you have at least one of these conditions leading to general pain in the forefoot. At The Foot Group your clinician will determine which of these conditions is causing your pain. This is generally done with a full biomechanical assessment, possible X-ray and ultrasound referrals and through palpation and range of motion studies by the clinician. 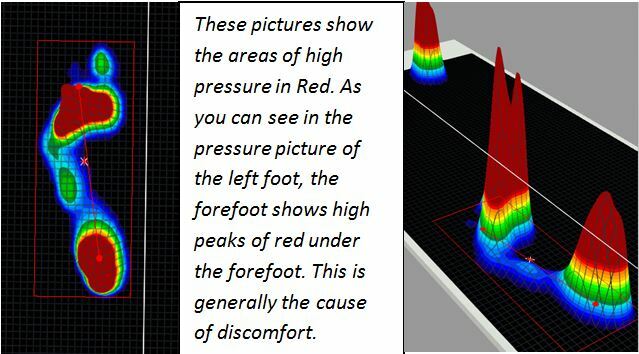 The following pictures show how metatarsalgia may present during a gait pressure analysis. 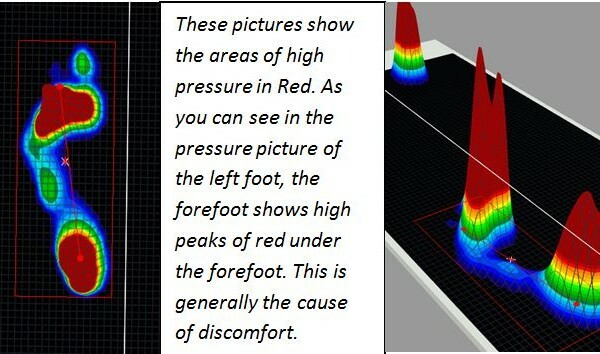 These pictures below of the right foot show a similar situation but you can see three distinct areas of pressure in the right forefoot where the patient’s metatarsal bones push on the ball of the foot, seen in the three peaks in the picture on the left. 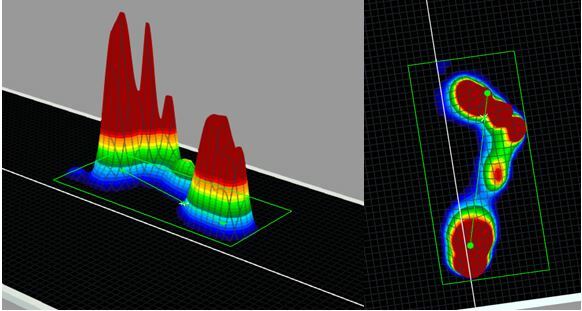 As you can see, most of the pressure is happening under the first two metatarsal heads being the first thickened peak, and then to a lesser extent the third and fourth in the second peak, with the small peak being the fifth metatarsal. Well that depends on what your actual diagnosis is. Our range of treatment modalities includes strapping and taping, cushioning, offloading, footwear changes, custom orthoses and other methods to improve the pain and get you back on your feet. The most important aspect of metatarsalgia is to get a diagnosis, so that the appropriate treatment can be applied. Once this is done your actual condition can be targeted and healing can occur.